This will prevent Maverick from sending you messages, friend request or from viewing your profile. They will not be notified. Comments on discussion boards from them will be hidden by default. Sign in to Goodreads to learn more about Maverick. We’d love your help. Let us know what’s wrong with this preview of Civil Blood by V. Renae. This little novella was the perfect conclusion to the Twisted series. With jaw dropping twists, lustful romance, and charismatic characters, Twisted Desire proved to be a quick, fun, and entertaining read. The story takes place a year and a half after This little novella was the perfect conclusion to the Twisted series. With jaw dropping twists, lustful romance, and charismatic characters, Twisted Desire proved to be a quick, fun, and entertaining read. The story takes place a year and a half after Skyler wiped Tristan’s and Aurora’s memories, and now with the help of her annoyingly charming counterpart, Nikolai, the two must work together to put a stop to The Experiment, all while managing their own love/hate relationship. Out of all the books of the series, no title has ever fit as perfectly to the storyline as Twisted Desire does. Written in Skyler’s point of view, we get to see inside her head as she struggles with the differing emotions playing out in her heart, and walk along with her as she works to figure out what she truly desires. In the past, her and Nikolai’s relationship could be described as a complicated version of friends with benefits, or perhaps more appropriately frenemies with benefits. But after losing some of her best friends to this war with The Experiment, she has to open her eyes to who has been there for the her most. But something stops her from opening up to him fully, a nightmare experience from a past relationship. As the story progresses, we get to understand what Skyler’s been through and even how her friendship with Tristan and Max originated. In contrast to how Aurora’s and Tristan’s romance quickly erupted in Twisted Fate and Twisted Gift, in Twisted Desire, we get to witness the slow progression between Skyler and Nikolai, which I think lends to the story that much more because we get to experience that burning desire grow more and more as they get closer. It can be hard for novellas to present the story in a way that encompasses all the necessary information while still creating a heart pounding storyline, but Jessi Elliott does this perfectly in Twisted Desire. Throughout the book, we’re reminded about important details from the past two books, enough to refresh our memories, but not so much that will make you go, “Yeah, yeah, we get it.” By spreading out these details, Jessi is able to jump right into the action without missing a step. While there were moments that I felt that the characters got through to the next stage a little too easily, it never presented any real big issues in the plot. It definitely had enough of a story to be expanded into a full length novel, but I think that writing it in this novella length allowed Jessi to eliminate a lot of the fluff that may have been there, which makes for an action packed story. You’ll never want to put this down, and weighing in at just under 150 pages, the length makes it easy to keep it in your hands, especially when you come across all the unique twists and turns that I honestly did not expect to see. We’d love your help. Let us know what’s wrong with this preview of Within These Walls by Ania Ahlborn. We’d love your help. Let us know what’s wrong with this preview of The Asylum for Wayward Victorian Girls by Emilie Autumn. 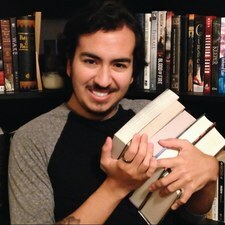 Maverick Moses has read 11 of 30 books. Maverick Moses read 12 books of his goal of 12! Take a look at Maverick’s Year in Books. The good, the bad, the long, the short—it’s all here.